When I was in my early twenties, a couple of years before I entered the Orthodox Church, I crossed the Atlantic and spent a summer busing across America. I spent a week of the trip working with a Roman Catholic Jesuit mission (although I was a Protestant at that time,) in the Mexican border city of Juárez. I still have vivid memories of scooping pinto beans into bags for the long line of waiting women and men whilst realizing that the beans never seemed to run out. Nor can I forget several days later breaking up a concrete path with a pick axe as part of a building project when the temperature was 116 degrees fahrenheit ! But until now I would never have thought to connect these memories to the history of Orthodoxy in the Americas. Until 1888 Juárez had the same name as its now neighboring American city of El Paso that stands on the other side of the Rio Grande. The name was changed in honor of the Mexican President Benito Juárez (1806-1872) who for a brief period had to live in the city after the French Imperial forces of the Emperor Napoleon III had invaded his country and captured Mexico City in June 1863. 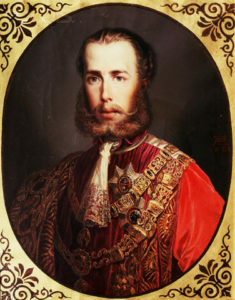 The French troops then installed Maximilian, a younger brother of the Emperor Franz Josef I of Austria-Hungary, as Emperor of Mexico. Maximilian’s brief reign came to an end in 1867 when he was executed by a firing squad and President Juárez was able to return to full control of the country. So what on earth does any of this have to do with Cinco de Mayo or the history of Orthodoxy in the Americas ? As always I think we need to examine the history of our Church in the wider context of world and national histories. 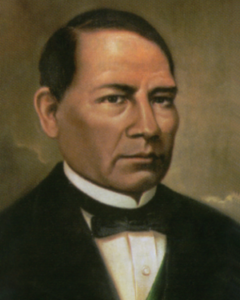 President Benito Juárez was of poor peasant origin from the region of Oaxaca in south central Mexico and a member of the indigenous Zapotec people. Despite his humble origins he became a prominent lawyer and leading liberal politician. He assumed the Presidency of Mexico in 1857 and held on to it during the three year War of Reform (1858-1860) when conservative forces closely tied to the Roman Catholic hierarchy sought to overthrow his government. This civil war, that finished almost exactly as the U.S. one began, left Mexico bankrupt and deeply indebted to the European powers of France, Great Britain and Spain. This was the background to the French imposition of Maximilian upon Mexico. But initially the French were repulsed by Juárez’s forces, suffering an ignominious defeat at the Battle of Puebla on May 5,1862. 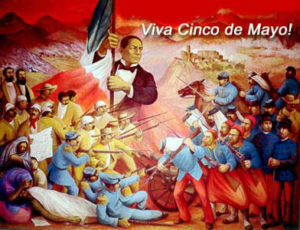 It is this Mexican victory over the French that forms the basis of the well known celebration of Cinco de Mayo and not Mexican independence day as is commonly thought. At this point I should mention that I am deeply grateful to the indefatigable Maggie Maag, parish historian at Holy Trinity Greek Orthodox Cathedral in New Orleans who recently sent me an article from the New Orleans Era newspaper of October 26, 1863. To contextualize this better it is important to know that this paper was published only from 1863-1865 and described in 1864 as “an unconditional Union paper.” In other words it was a bi-product of New Orleans capture by the North in April 1862 and the occupation of the city by Federal forces until after the war ended in the spring of 1865. 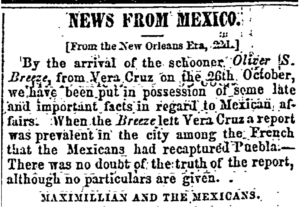 The article Maggie sent me was later reproduced in a number of other leading American papers and is a digest entitled News from Mexico gleaned from the crew of the schooner Oliver S Breeze that came to New Orleans from the Mexican city of Vera Cruz. The schooner had only months earlier been captured by the Union navy off the Florida coast near Tampa where it was operating as a Confederate blockade runner. Its purpose in sailing to Vera Cruz and thence to New Orleans is not known. A spirit of discontent has sprung up against the French among the Church party, on account on the little respect paid by the soldiery to church property. They have made stables of several of the churches, and taken from them the sacred chalices, and the jewels out of the eyes of the images. In one church (the Inquisition) the diamond eyes from the image of Christ were stolen, and all the rich pictures and the most sacred relics taken with the disregard for their sacred character characteristic of infidel bandits. These colored troops are extremely hostile to the “Christian dogs,” and have no respect for any one but Mohamedans. They have perpetrated numerous massacres. At Madelin, another military station, these Egyptian auxiliaries expelled the priest. To recap: there has been a civil war in Mexico pitting the Liberal President Juárez against Conservative landowning forces largely supported by the Roman Catholic hierarchy. Juárez wins the war and the exiled Conservatives (including Roman Catholic Bishops) flee to France and persuade the Emperor Napoleon III to intervene in Mexico on their behalf. But instead the French invaders end up alienating many of the Mexican Roman Catholic clergy and faithful. Several priests in various parts of the Republic have seceded from the Church of Rome, and have applied for power to act for the Greek Catholic Church of Constantinople. An American priest is now on his way to Constantinople to receive consecration from the hands of the Patriarch Archbishop, in order to be able to perpetuate the Episcopacy. Several missions have already been established by President JUAREZ, and the prospects are good for a general prevalence of the power of the Greek Church, in the same manner as now prevails in Russia. As always with research these two paragraphs beg more questions to be answered: Who was the American priest now on his way to Constantinople? What form did the Orthodox missions established by President Juárez take and what became of them? 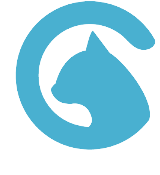 I will briefly speculate on some answers. Could the American priest have been the Rev. James Chrystal who we know traveled to Greece in 1868 and was quickly baptized, ordained as deacon and priest and then made Archimandrite in the space of a few months? A source quoted by Matthew Namee in the linked article states that Chrystal began studying Orthodoxy in 1862 so could he have gone to Constantinople in 1863 and been spurned? But given Chrystal’s known later revulsion to icons he seems an unlikely figure to have been associated with a group of Mexican Roman Catholic converts. It seems much more likely that the priest in question would have been from Mexico, all of whose people could also be called American. What became of these communities? Could it be that some continuity exists between them and the churches that now comprise the Mexican Exarchate of the Orthodox Church in America? This diocese was created from the mass conversion to Orthodoxy in 1972 by members of the Mexican National Catholic Church, a group whose origins are normally traced to the early twentieth century in another period of political turmoil in Mexico not so different to the one I have described above from the 1860’s. Hopefully more can be found about this story. But it is remarkable that a year or two before the formation of the oldest continuously operating Orthodox parish in the lower 48 in New Orleans in 1864 there may have been missions south of the border in Mexico and not only in Russian America. It’s a whole new twist as we head towards Cinco de Mayo celebrations! The Mexican National Catholic Church was a branch of the Old Roman Catholic Church. The Old Roman Catholic Church was established in 1724 after the Schism of Utrecht.